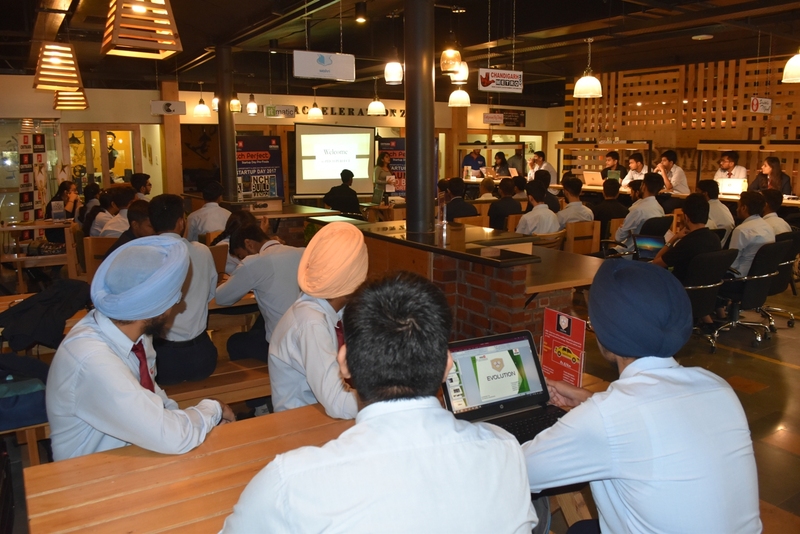 “Pitch Perfect, StartupDay Pre-Finale” was held on 27th October 2017 which saw participation from over 35 teams from the Chitkara University, Punjab Campus. 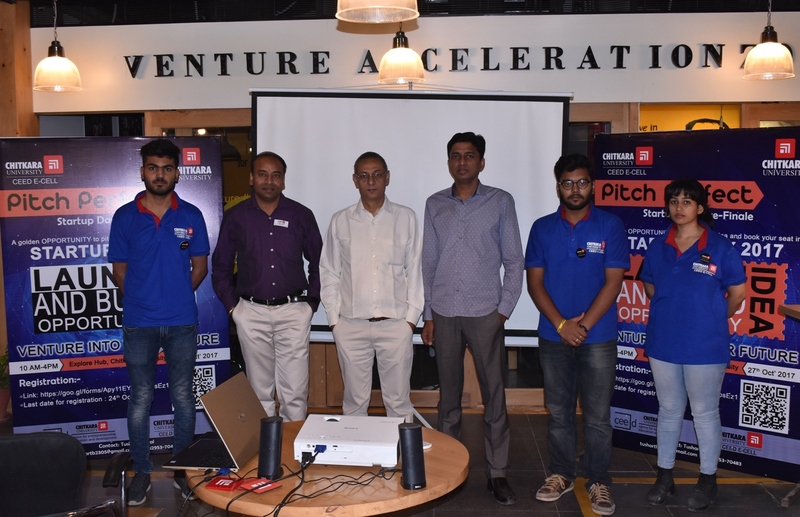 Through the event, the budding entrepreneurs got a chance to pitch their idea in front of esteemed and impeccable panelists like Mr.Vinish Garg (Founder & CEO – Stippi), Mr.Sachin Sharma(ChalkPad), Mr. Naveen Kalra (CEO – Satshri Technologies) and Dr. Adarsh Aggarwal (Mentor & Professor, CEED). 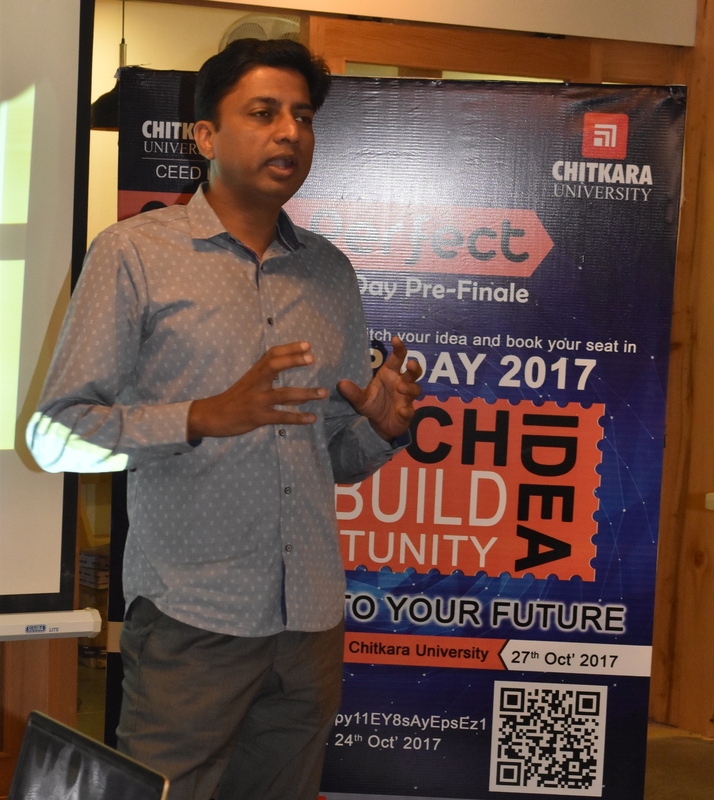 After rigorous pitching, Judges have selected following 11 teams who have made it to the StartUp Day’17- Finale which will be held on 9th Nov’17. Congratulations to all the qualifying teams and all the best for the Finale! 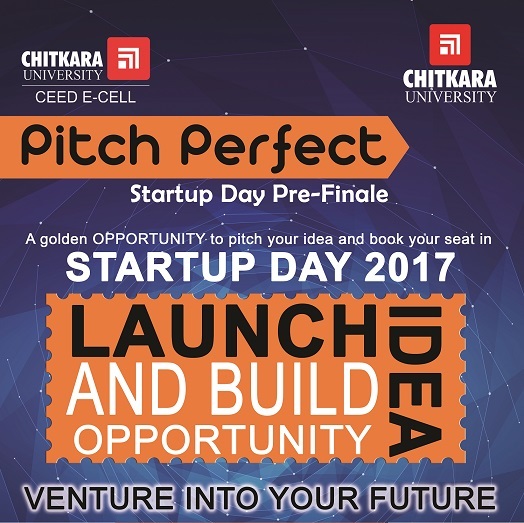 The qualifying teams are further hereby informed to be present in the Explore Hub at 2:30 PM sharp on 31st Oct’17 for a meeting. Rest details of the event will be uploaded on the Chalkpad in due course of time. The teams who have not been able to make through the semi-finals need not lose their heart. 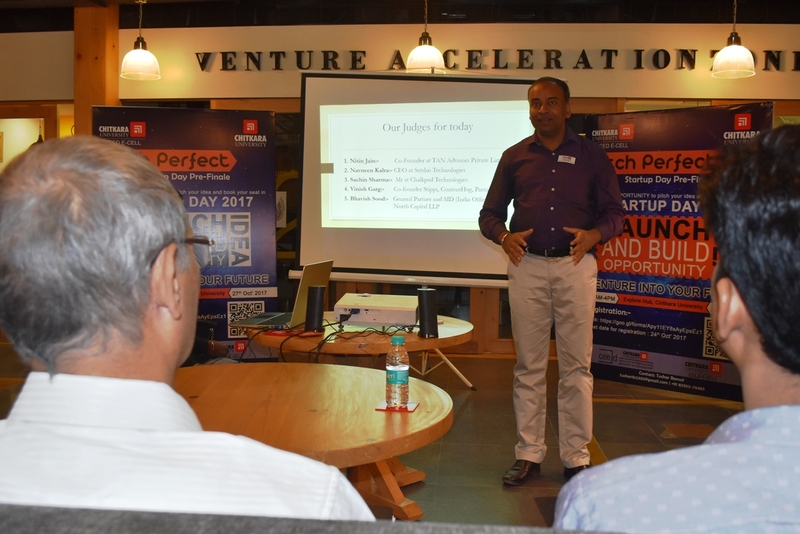 Their startup ideas are always welcomed and we look forward to see them at our Startup OPDs & Boot Camps to further work on their ideas. Please attend the event on 9th Nov ’17 as it is not about winning or losing, but, about enjoying what you do!